First and foremost.. I have had my eyes on this dress for a while now but just never got the chance to buying it and now they sold out of my size, smh. 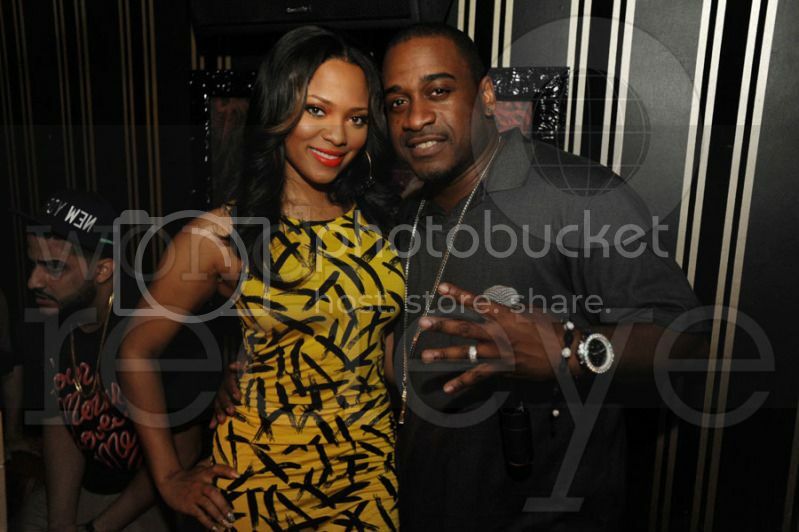 Nonetheless, this is a cutting edge dress that was seen on Reality TV Stars Evelyn Lozada (Basketball Wives) and Teairra Mari (Love and Hip Hop). 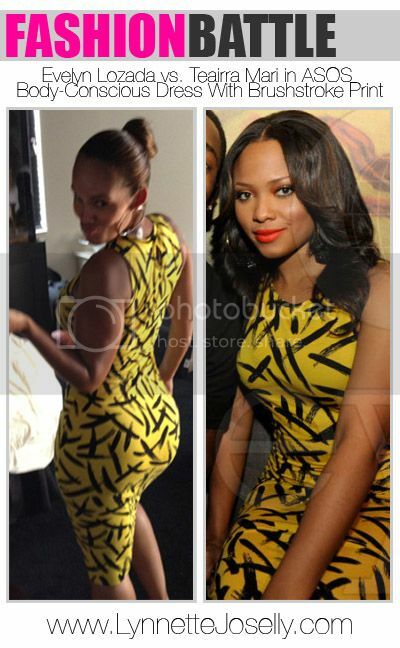 Evelyn's boo Chad Ochocinco tweeted the photo of her in what he called a "Charlie Brown dress". Evelyn went for the natural look with no make-up and a high bun. 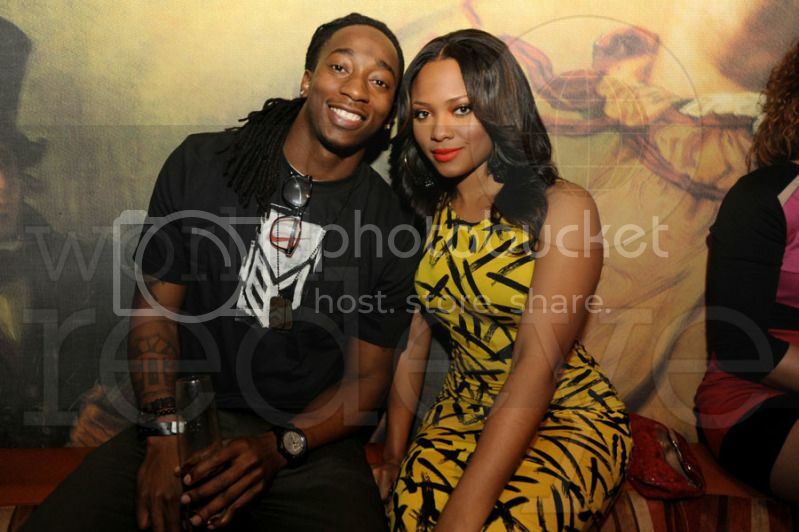 While Teairra rocked her dress with a hint of orange-red lips when hosting In The Studio With The 400 at Louis Lounge with NY Giants player Brian Witherspoon in Miami. 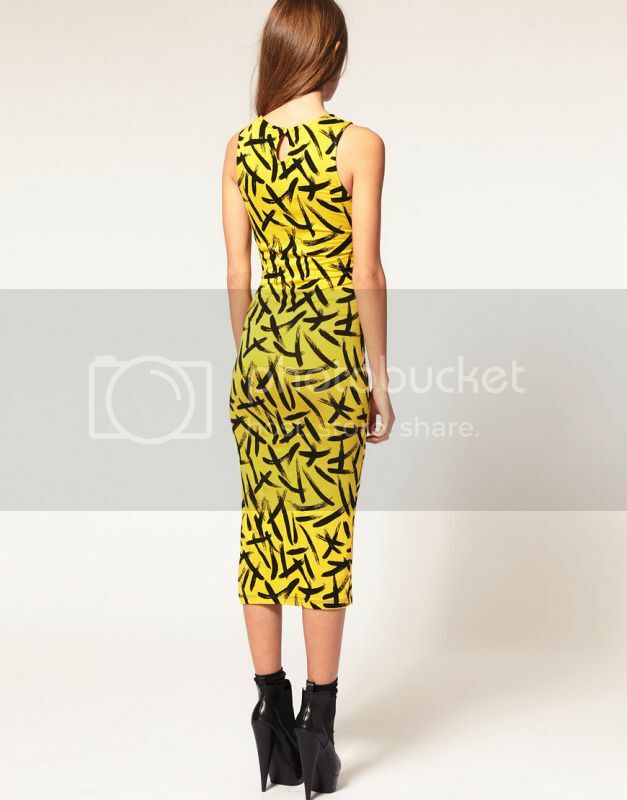 The ASOS Body-Conscious Dress With Brushstroke Print retails for $50.13. 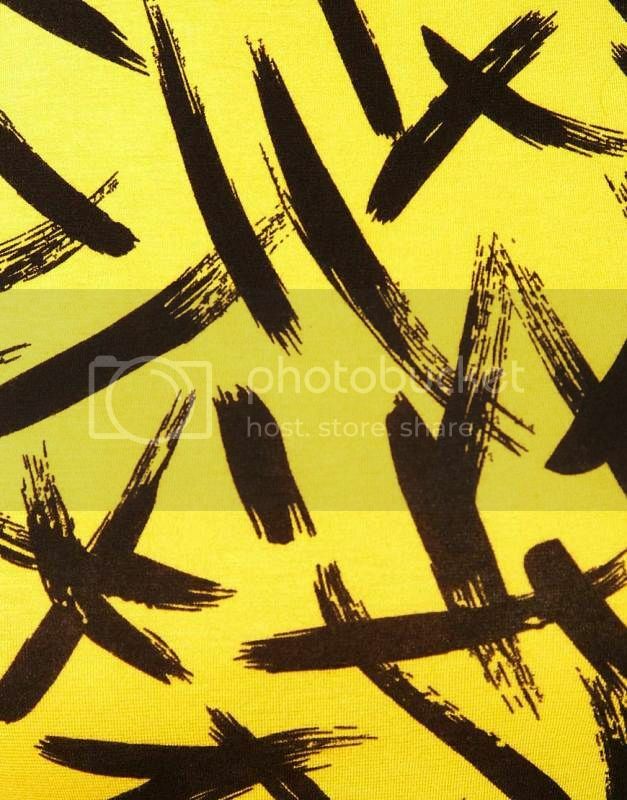 It features a scoop neckline with a bound edge, sleeveless styling, a black brushstroke print on yellow fabric, and a keyhole button fastening to reverse. Designed with a body-conscious fit and in a midi length which defines a females curves. Who do you think rocked it better?